The writer Leslie Jamison (USA), New York, New York, August 15, 2017. 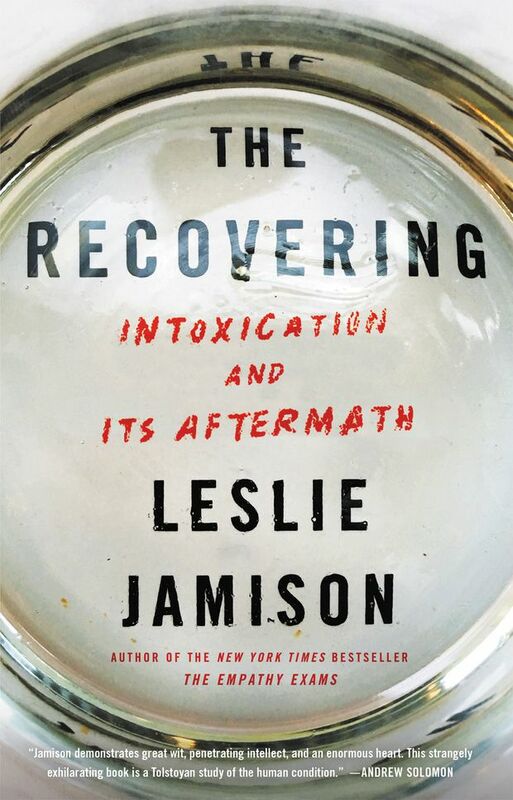 Published this April, The Recovering: Intoxication and Its Aftermath is Jamison’s memoir about her own battle with alcoholism. The book explores her long-held fascination with what life would look like without booze, and, equally important, what creativity looks like without booze. While studying for her Master of Fine Arts in creative writing at the Iowa Writers’ Workshop, she became captivated by the works of famous alcoholic writers John Berryman, Jean Rhys, Raymond Carver and John Cheever, many of whom – like her – closed bars on Dubuque St. in Iowa City. They are peppered throughout her book as a way to study the alcoholic narrative and our obsession with romanticizing the boozy, tortured artist. 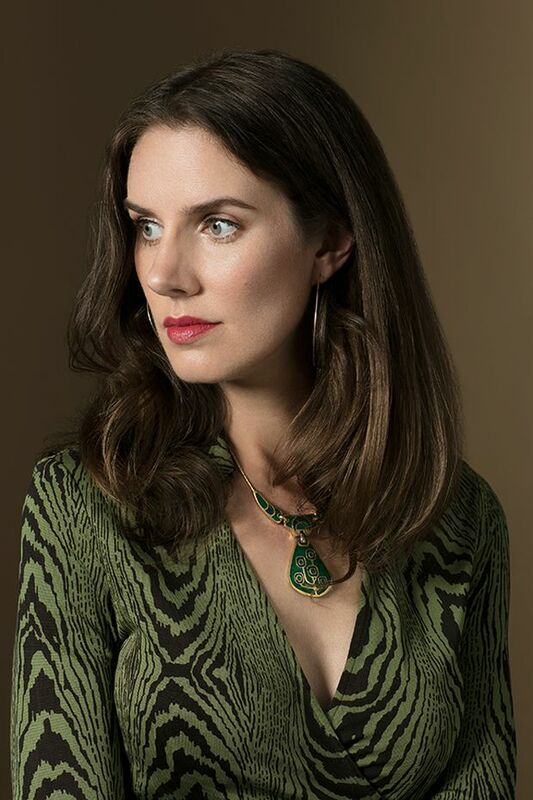 Now 34 and sober almost eight years, the Yale PhD, New York Times best-selling author, teacher at Columbia University, and mother of a five-month old talks about how sobriety has challenged, changed and ultimately strengthened her. And, she thinks, has made her a better writer. “I was writing when I was drinking, but it was hard for me to imagine expansively when my own life felt locked into certain tight psychic spaces,” she tells The Globe and Mail. She “writes toward the questions that obsess [her]” and she hopes that the book feels like company to people who are trying to get sober. Very few people in recovery can pinpoint the root cause of their addiction. Did the process of writing the book help you answer some of your own questions? As much as anything, I was – and am – suspicious of the impulse to locate a single smoking gun when it comes to the roots of addiction: the absent father, the negligent mother. I think that usually the truth is more complicated: a combination of trauma and/or genetic predisposition and/or personality and all the facets of upbringing that shape personality. In the case of my own life, I certainly think that the strong history of alcoholism in my family suggests a genetic basis – or at least, susceptibility – and I certainly experienced the drinking as relief from certain facets of my sense of self –insecurity, intense need for affection, fear of abandonment – that were shaped by the way I grew up. But ultimately, I didn’t want to write a book that was blaming my parents – who are loving and devoted and always have been. I wanted to write a book that was honest about the complexity of causes, suspicious of the impulse to peg addiction too definitively on any single cause and curious about the various ways people have narrated the causes of their addiction and resisted the logic of causality. That was exploring, in essence, why are we always so hungry to conclusively answer the question of cause? You were an extremely high-functioning alcoholic – getting your PhD, writing a book, The Gin Closet, and holding down several jobs. Do you think “functional alcoholic” is an oxymoron? I don’t. Not surprisingly, because I identify as one. I think it’s pretty mind-boggling the extent to which people can lead lives that look completely functional from the outside, but whose innards are corroded by fear, emotional absence, shame, obsession. I’ve never wanted to conflate my experience of addiction with the experiences of people who have suffered more external consequences, but I think it’s deeply important to recognize the many ways addiction can manifest: that it doesn’t just look one way. In recovery, it was important to me to see the stories of people whose lives looked like mine, externally, and the stories of people whose lives didn’t look like mine at all. You’ve met good friends in AA, and you share some of their stories (anonymously) in the book. Whose story impacted you and why? I still remember hearing my second sponsor speak for the first time: how she described packing a magnum bottle of wine in her bag when she went to rehab. That made sense to me – that even when you knew you needed to give up booze, you still craved it more than anything. She really reinvented her life in sobriety: moved from the suburbs into the city, left a marriage that wasn’t working, created a new network of friends and sense of purpose. And that willingness to create a new life – while still being honest about the pain of missing the old one – really struck me and was a daily source of inspiration. You juxtapose the stories of alcoholic authors with “regular” people. Why include both? Part of what I love about recovery meetings is the way they create – each time – a chorus of stories, and I wanted to do that with the book: to enact the logic of recovery--a turning-outward of attention – in the very structure of the book, rather than simply describing it. I knew from the beginning that I didn’t want to write a traditional memoir that focused solely on my own life, because I wanted the book to be a manifestation of the way recovery is about connecting to the lives of others, and I wanted that outwardness reflected in the DNA of its form. The book ended up with four major narrative strands: my own personal story; the stories of various famous writers who have struggled with addiction; the particular stories of ordinary strangers trying to live their lives in sobriety; and the cultural history of how addiction has been narrated in 20th-century America, thinking about how this history has been shaped by race and class. What does life look like without booze? What does creativity look like without booze? Life without booze is richer and more expansive than life when I drank – which had become, by the end, quite claustrophobic and repetitive. I’m more alive to the world, more aware of my own life as one life among millions, more able – I hope! – to stay inside difficult situations, rather than simply trying to flee them. There’s still plenty of wonder: conversations on long walks with friends, lying in the shade with my infant daughter, waking up early to follow the buzz of a new essay. Which is to say, creativity without booze has been tremendous. I do much more interviewing and reporting, more outward investigation, but I also think I bring a different sort of honesty to the personal writing I do, more levity, more oxygen.